Treat your feet to a Pedicure! Pedicure Bar is great addition to any event! In the spring and summer months our pedicure bars are very popular with our Office Pampering clients. Why not choose a treat for smashing last years bottom line! 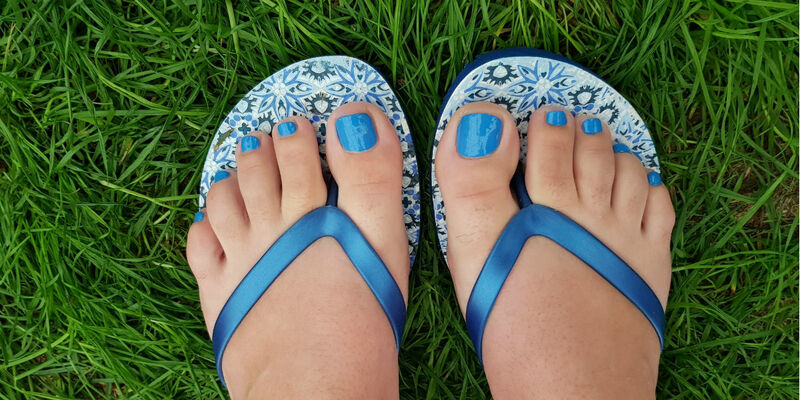 If you are looking for a little extra artistic input from your pedicure, why not appoint one of our Nail Art experts to join the team. Perfect idea for trade shows, corporate events to create an alternative brand awareness. We can match your brand colours and promote your company via our Pop up Nail Bar area. Only using the very best in products including OPI and Jessica for all our events and appointments. Our nail technicians will file, shape and varnish your nails as well as give you a soothing foot massage to de-stress and make your nails look fantastic. We also offer an amazing treat for the feet.. Reflexology. A truly relaxing and holistic treatment focusing on the reflex points of the body, via the feet. Click here for detail on our reflexology treatments.